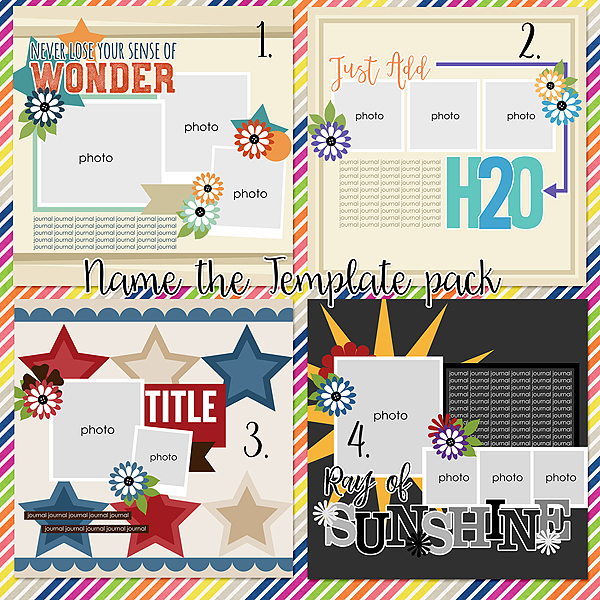 Connie Prince Digital Scrapbooking News: Welcome to our Wednesday Game, Sale and a Freebie! Welcome to our Wednesday Game, Sale and a Freebie! Ready to play our weekly game? 1. Head to Connie's store at Gingerscraps and look at pages 9 and 10 (set to 50 products) for the template packs I used. Check out Connie's New Buffet Collection! 50% off until the 5th! Today is the last day to grab #2018 May on Sale! Kelly Made you these journal cards using #2018 March!